If art is one of the things I get the most excited about in life, travel is most definitely another. I love exploring new places, meeting new people, going somewhere for no other reason than it is a place which exists. So when I was able to take a few days and a cheap flight to go and discover Stockholm, I grabbed that chance. Stockholm is a very pretty city, almost unbelievably so in the autumn sunlight. It was a pleasure enough to just wander around the different neighbourhoods, stopping for fika (coffee and cake) at regular intervals. But it would’ve been amiss of me to go all that way and not visit a few galleries. So I did. Keen to make the most of my time, I headed to Moderna Museet on Skeppsholmen as soon as I’d dropped my bags at my hostel. As the name suggests, it showcases art made from the early 20th century to the present day. There’s solid representation from most artists you will have heard of – Picasso, Dali – but also a slightly Scandinavian bent, with more Munch’s than I’ve seen in any UK gallery. There is concise and easy-to-follow coverage of most major artistic movements, from Cubism to Pop. I got particularly excited by the Constructivist room. 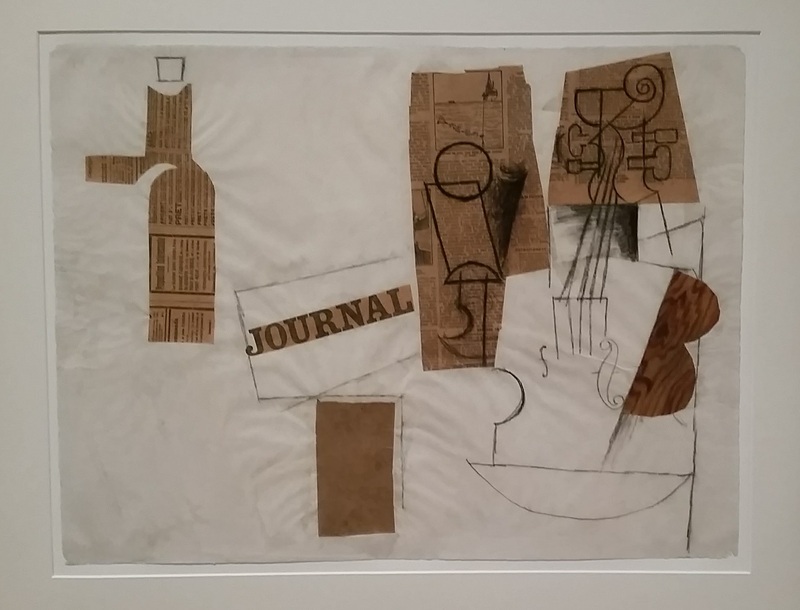 The Constructivists were Russian artists whose aim, following the Bolshevik revolution, was to create a new visual language for their new age. It didn’t quite work out as they wanted but I admire their vision, exemplified here in pieces such as Tatlin’s Monument for the 3rd International – planned but never built as an icon of Soviet power. Not everything here is familiar, though. 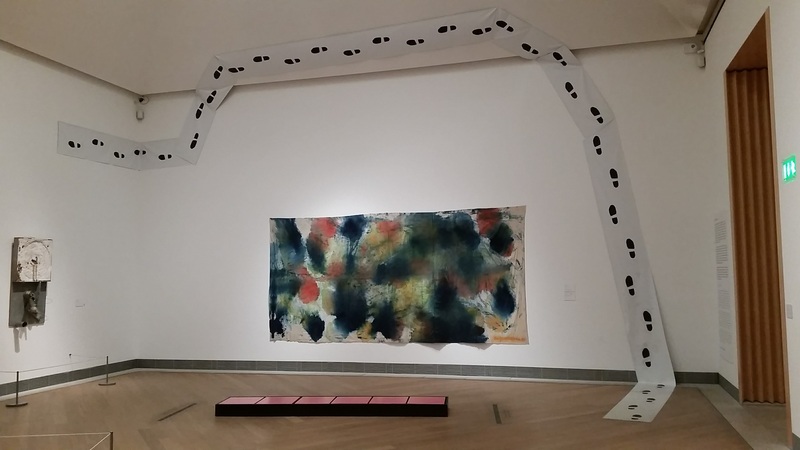 Before I even stepped into the second gallery, I was intrigued by its sounds and colours. It turned out to be a room dedicated to an artist named Moki Cherry, who I’d never heard of. It was colourful and fun, and for a tourist it seemed worthy of pushing Matisse’s cut-outs to a side room. From here on the gallery explored the more diverse paths of art from the 1960s onwards, and did so rather well. Different artistic methods come together and make sense. There’s also an outside sculpture space, but as it was dark and rainy when I visited, I didn’t get to explore this. The idea of Moderna Museet seemed to be to present artworks for you to make up your own mind about, and this gave it a lot of appeal. For an art-lover, it was fascinating and fun, I was very glad I went. But even if you’re only passingly interested in art, it’s worth a trip. It’s also free – and while Stockholm may not have been quite as expensive as the rumours suggest, that’s definitely a bonus. This was recommended to me by absolutely everyone I knew who had visited Stockholm, so was high on my list. I got there by walking from Norrmalm, across the lovely Gamla Stan and to Södermalm, which would have been a nice trip on any day. But the exhibition made it worth it. Fotografiska hosts temporary exhibitions of photography, and when I visited the major show was a showcase of Anton Corbijn. Corbijn is an artist I have been aware of for a very long time, due to his connection with music. This exhibition was basically a roll-call of every musician I have ever liked, or called an influence. But it did more than just win me over with the subjects: it was an excellent argument for the power of photography. It’s a hard balance to hit, between music and style. The music has to come first of course, but the artists who become legendary seem to be those who have a strong image to make them. What’s clear here is the role photographer like Corbijn play in defining that image. They seem to capture a spirit; somehow you look at each artist and you have a feeling that you know how they sound. Let’s take Tom Waits. This picture is of someone uncompromising, a bit rough, a little sinister – and that, for me, is his music. Then there’s other photos which seem to show you who these people really are. The series of Nirvana shots is much more fun and less stereotyped than history remembers them to be. Then there’s the John Lydon PIL-era portraits. You can tell he’s a man trying to move on and do something different, but keep some of his Johnny Rotten rebelliousness. It’s a fascinating show. 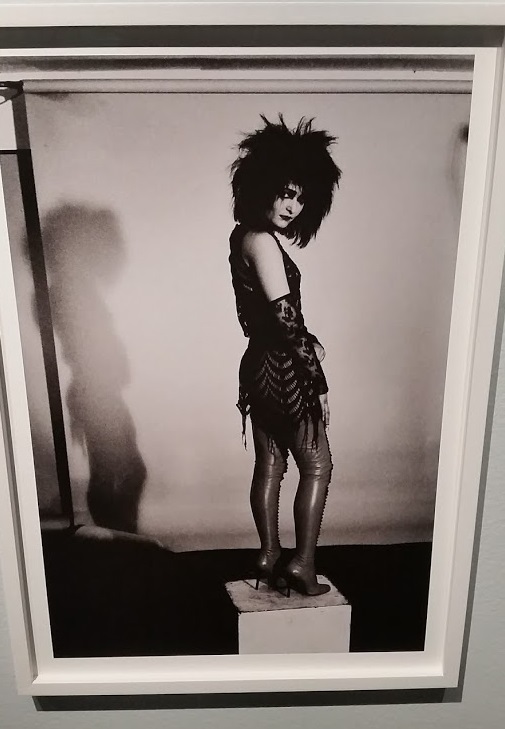 If every Fotografiska exhibition is of this quality, I’d always recommend a visit. Entry is 120kr but there are some smaller exhibitions too, and I didn’t feel short changed by my time here. I saved this for my last morning, when I had a couple of hours spare before catching my flight home. Magasin III was touted in all the guidebooks as being home to the most contemporary art. It’s a little bit out of town by the docks in Frihammen, but easy enough to get to on the bus. Not so easy to get into, though. I got confused first by which door to go in, and then why walking through the lobby didn’t take me into a gallery. It turns out the ‘lobby’ was actually a lift – press up to get to the gallery. 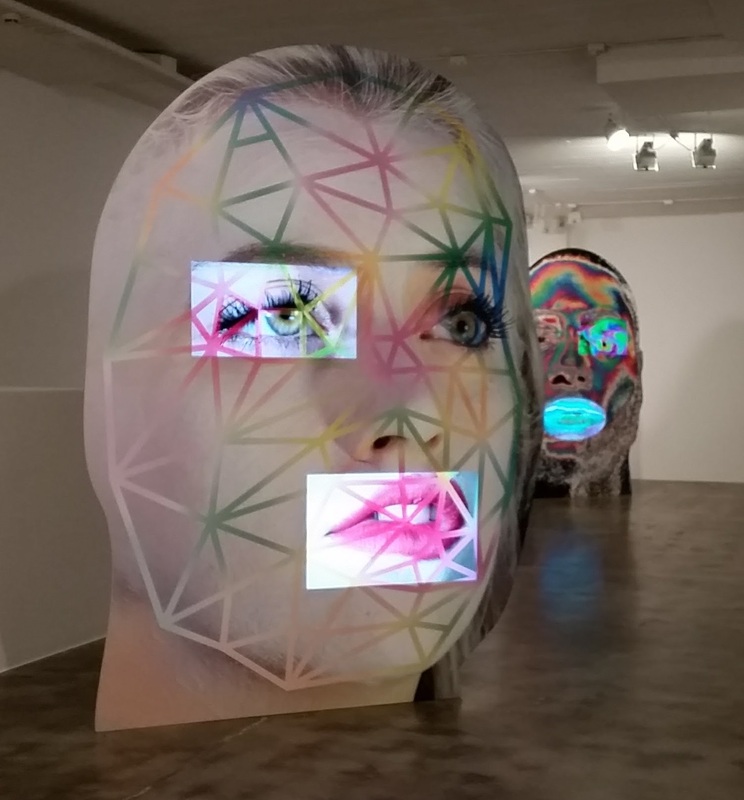 Tony Oursler’s “digital people” move in strange, uncanny ways. There were two exhibitions on during my visit, with the upper space dedicated to work by Tony Oursler. Oursler is an artist who has always worked with video and digital mediums, and it’s a path which has particular relevance in the modern world. The work here explores our self and our relationship to this digital age. When you enter you are struck by the huge faces. Each has its own data, own monitors, is affected by the digital world in some way. Often, it’s both desirable and uncanny at the same time. At other times, such as with his dolls with projected heads, just grotesque. Oursler is no Luddite, his art depends on interacting with the digital world. But you do question to what extent this is a good thing. Downstairs, a very different world has been created by Swedish artist Christine Ödlund. She too wants us to question how we interact with the world around us, but her concerns are more…obscure. To say “plants” is too simplistic: she brings in elements of synaesthesia, Theosophy and music. If this sounds confusing, just relax and take in the atmosphere, which is very calming. There was a show at the recent Liverpool Biennial by an artist named Suzanne Treister called HFT: The Gardener, which this rooms really reminded me of. Maybe as we’re becoming increasingly drawn into a digital world, reappraising our relationships with nature is becoming more important. What I was told about Magasin III was true: it was definitely the most “challenging” gallery of the three I visited. But even on holiday I like to explore and ask questions, and the art here was quality enough to enjoy doing this. Entry was 80kr and the coffee was pretty decent. My trip to Stockholm would have been busy and interesting enough without visiting these galleries, and there’s so many places I didn’t visit (I stayed well clear of the Abba Museum, for example). But I enjoyed these three galleries a lot, as an art-lover. If you ever make a visit to any of these yourself, I’d love to her what you think! This entry was posted in Exhibitions, Home, On my travels and tagged #Stockholm, art, contemporary art, gallery, modern art, museum, Sweden, travel. Bookmark the permalink. We only had one full day in Stockholm. Sign that’s the thing about tour packages. Wish to be back again!